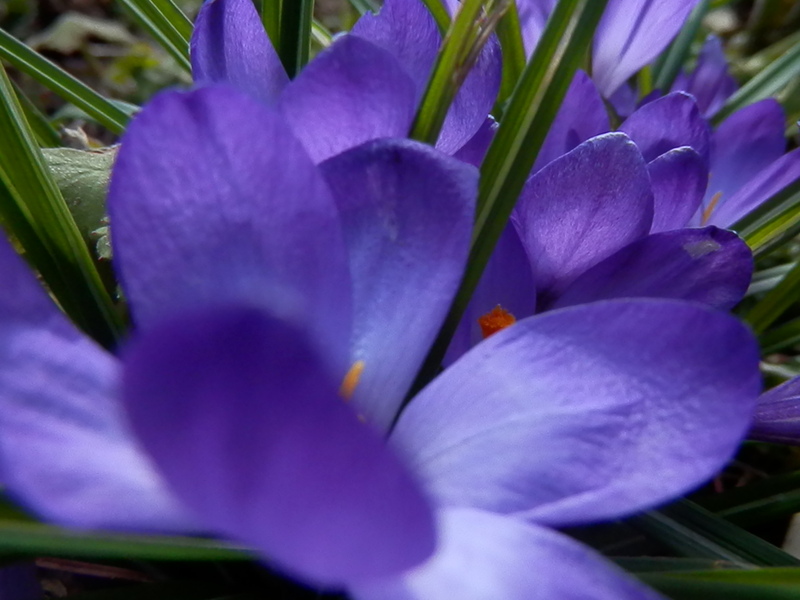 Hi all, I hope you had a lovely, restful Easter. 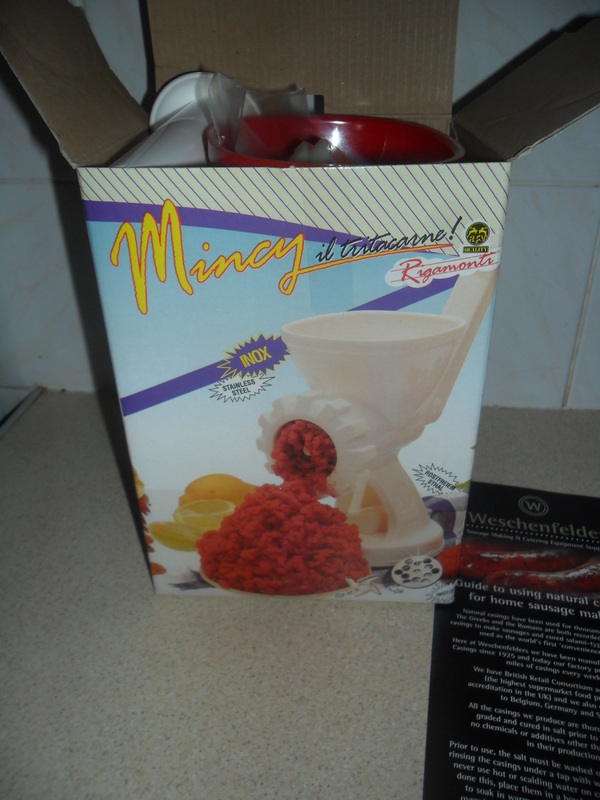 First was the meat mincer (with a sausage making attachment) that I told you about here. I was disappointed to find that there were no instructions in the box, but I did manage to easily work out how to mince the beef that I had bought, thanks to the pictures on the box. I am yet to make sausages. I wanted to work out if it was cheaper to mince my own beef, rather than buy the ready minced beef. I spoke to the butcher at Morrisons (as we don’t have a local butcher) and I’ve got to say he was extremely helpful. He told me that brisket is usually the cheapest cut of meat that can be used for mincing and it is fine to use, however he pointed out that ‘topside’ of beef was actually half price and worked out cheaper per kg, than the brisket. So I paid £10.69 for a lovely joint of beef. The beef was beautiful. It only had the smallest bit of fat on, which I cut off before I chopped it into chunks. I then put it through the mincer. I must say though, my arm did ache by the end of it, but I managed to get eight bags of mince beef, all weighing 250 grams, which I froze. 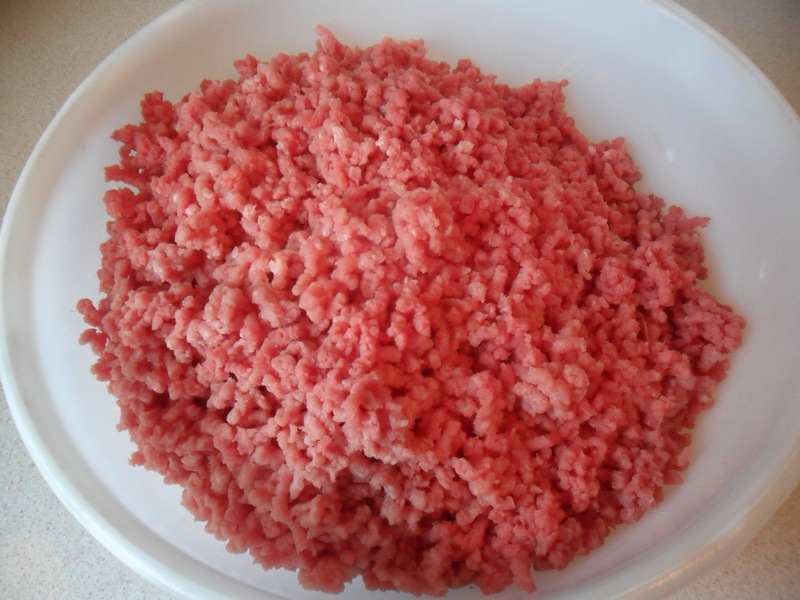 I worked out that it would have been cheaper to buy the prepacked ‘value’ minced beef, but it was certainly cheaper than buying prepacked ‘lean minced beef’ and I had the benefit of knowing what is actually in the mince beef we are eating. 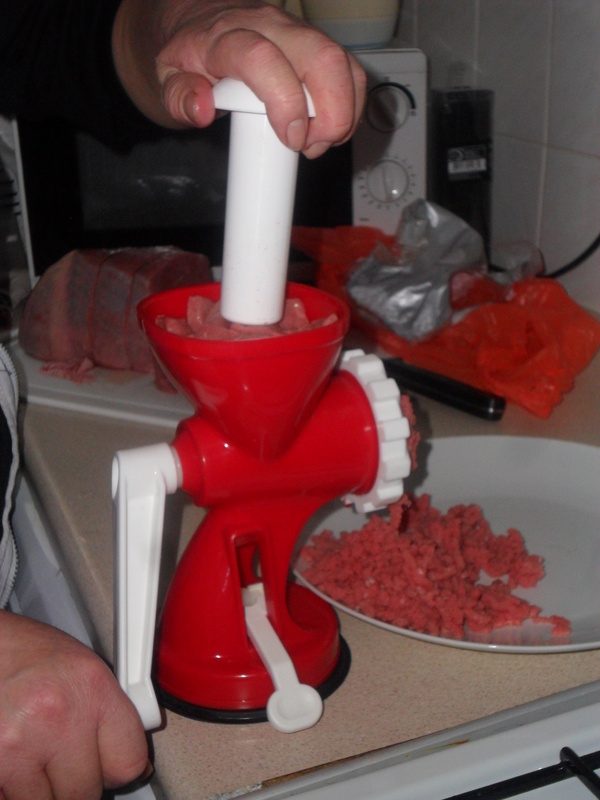 I was very pleased with the meat mincer I bought and I will definitely be mincing my own beef from now on. I will now be looking out for bargain beef joints. 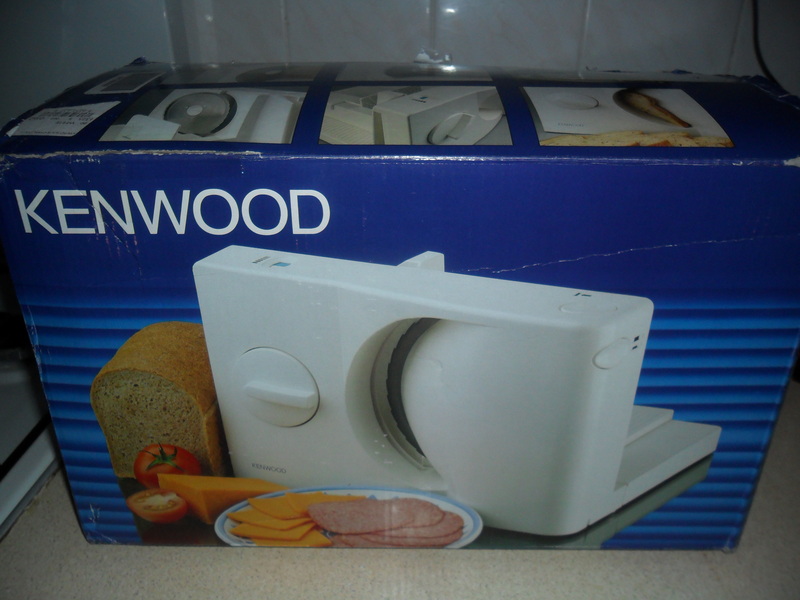 My 2nd ‘gadget’ is something I have been wanting for a while….a bread slicer. 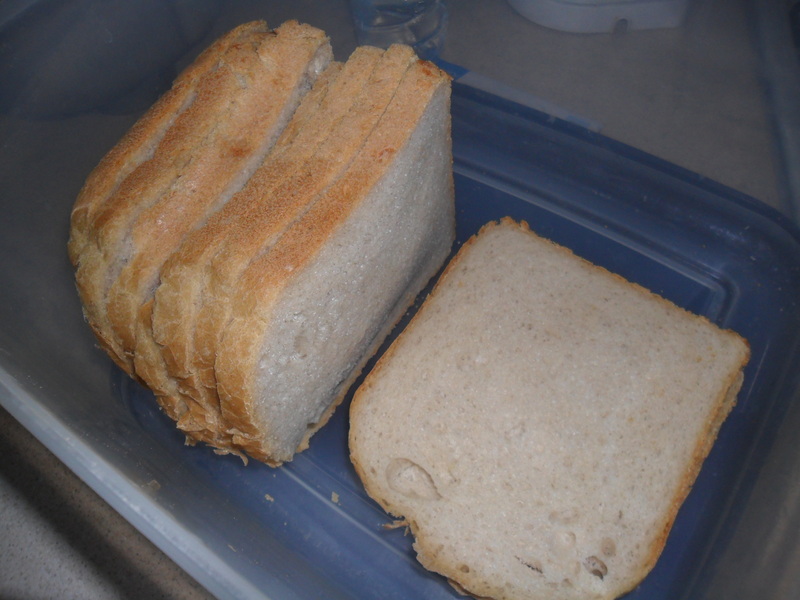 I have never been very good at slicing my nice homemade bread, which sometime spoils the overall look of it. Normally these slicers retail at nearly £90 (which I certainly could never justify), but we were killing time one day a couple of weeks ago and found Debenhams had a half price sale and had reduced it to £40. 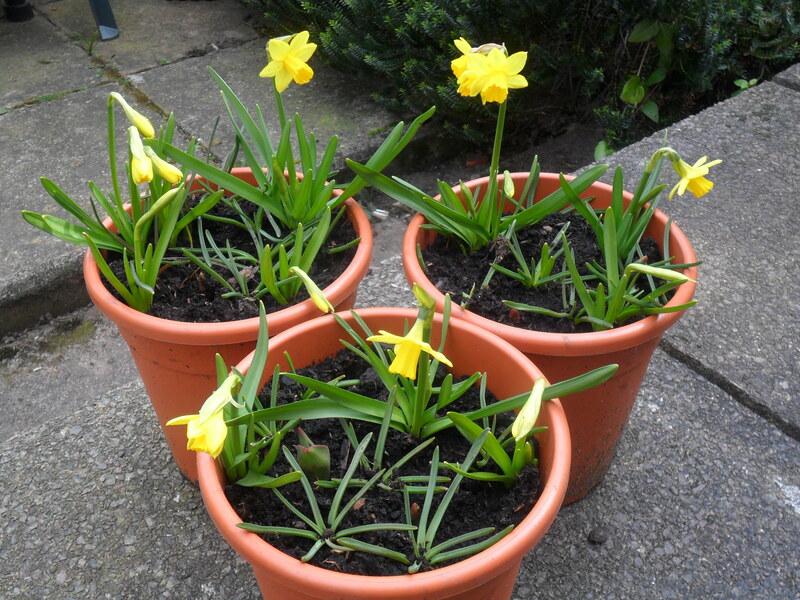 They only had one left, which was in an extremely bashed box and my wonderful husband managed to haggle them down to just £35. This was such a bargain and I am really pleased with it. It cuts my bread beautifully and I have also sliced ham with it and it cuts it as perfectly as the ready cut ham, that you buy from the supermarket. 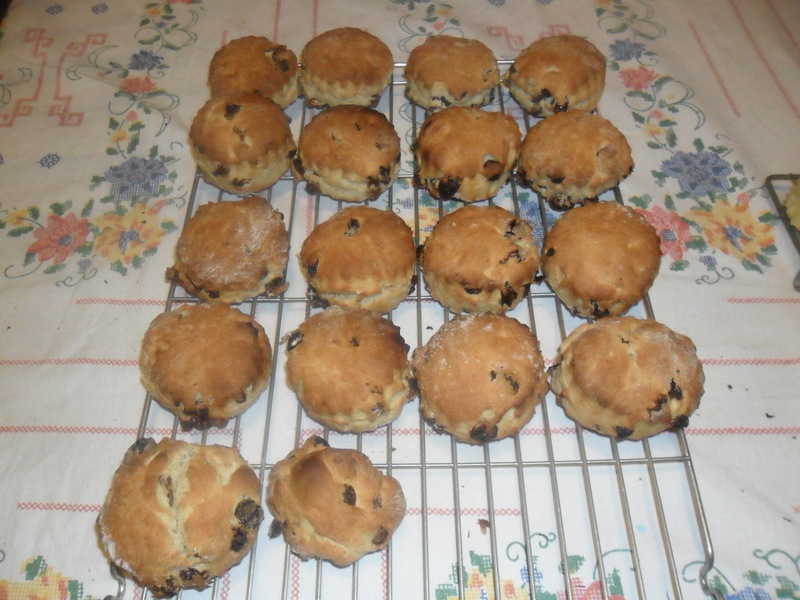 Over Easter I had another jam making session. 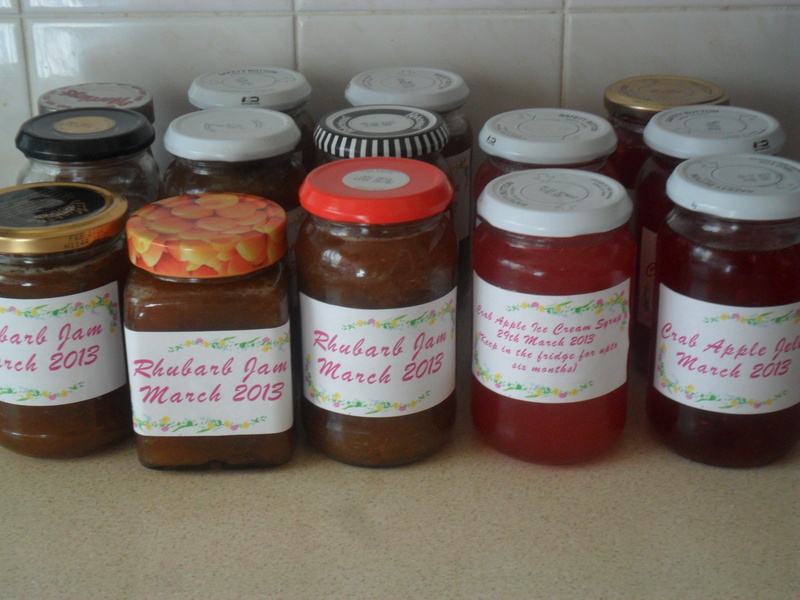 This time I made rhubarb jam (my favourite), with rhubarb I still had in the freezer from last year. I also made some crab apple jelly and crab apple ice cream syrup, from a bag of crab apples that I had frozen last year. You can find the recipes here and here. 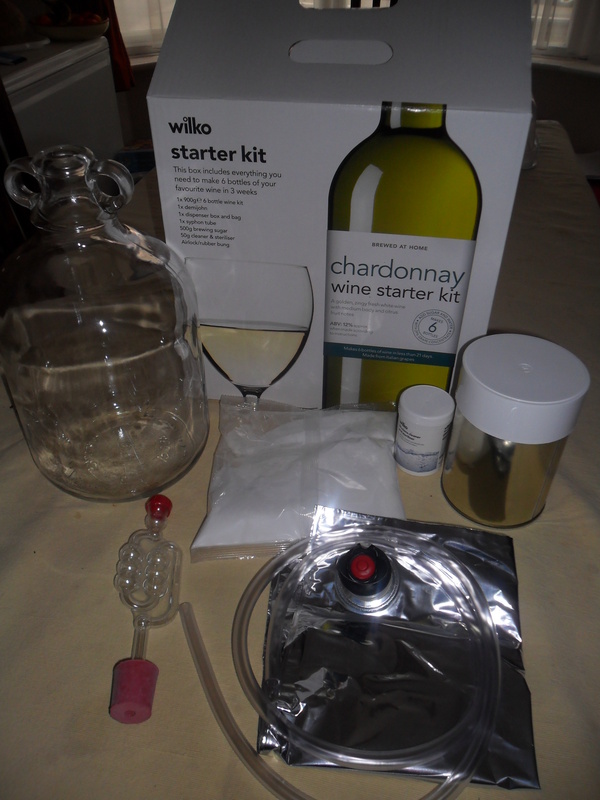 I also finally opened my Wilkinsons ‘Starter Wine Kit’ that I had purchased in the New Year sales for £10. Unfortunately some of the items were missing from the box and we didn’t have the receipt. 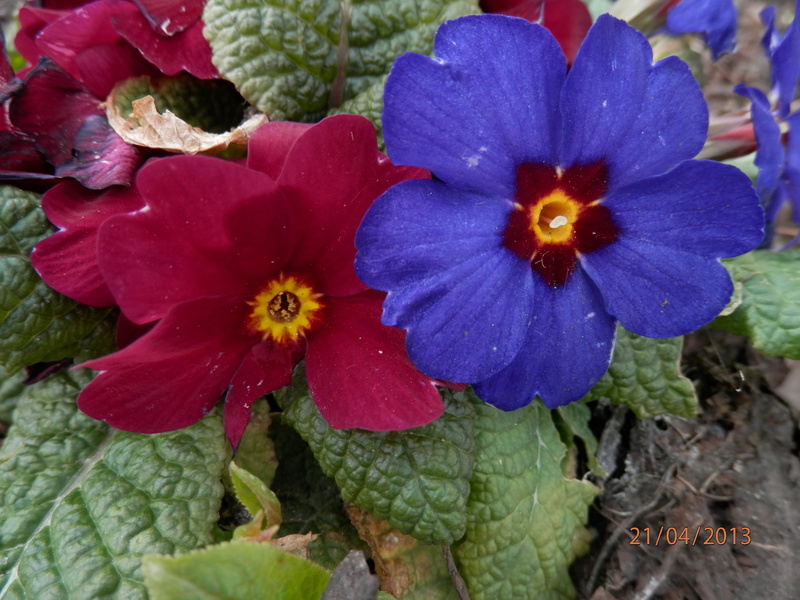 However, Wilkinson’s were fantastic and changed it anyway for a more expensive kit and gave us the remaining items from the old kit as a goodwill gesture, which we thought was fabulous customer service. 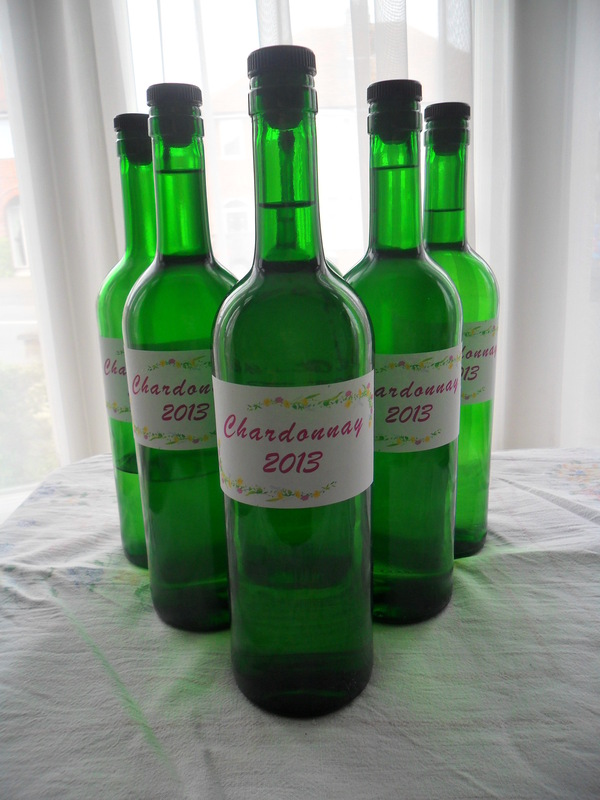 I have never made wine before, so it is all new to me, which is why I chose a starter kit. 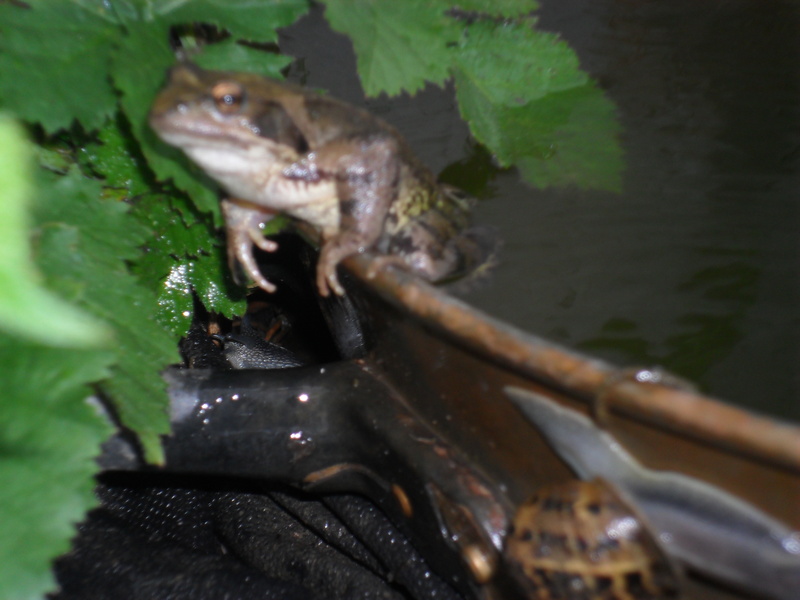 Hopefully when I have sussed it out, I can use some of the grapes from the vines I planted at my allotment last year, when they are established and fruiting well. So it is now bubbling away nicely. 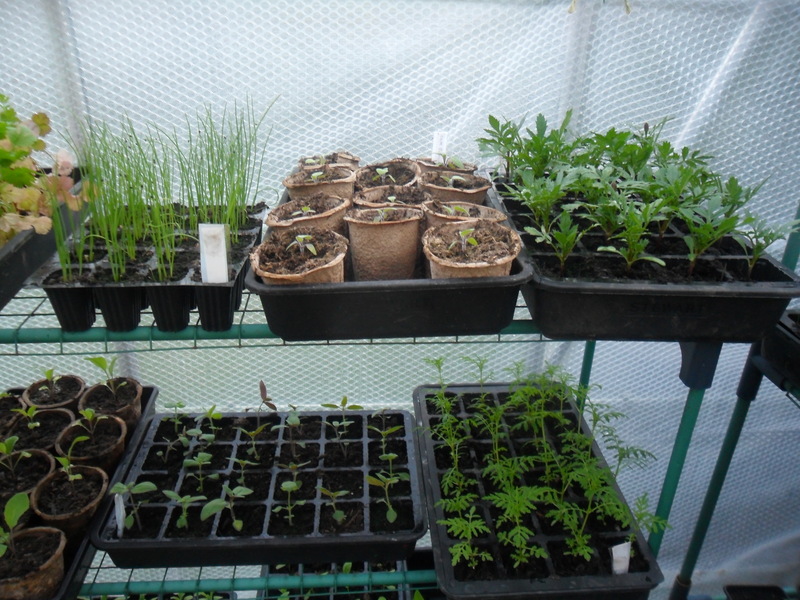 I’ve also been ‘pricking’ out my seedlings and they are sitting nice and snugly in my heated greenhouse. 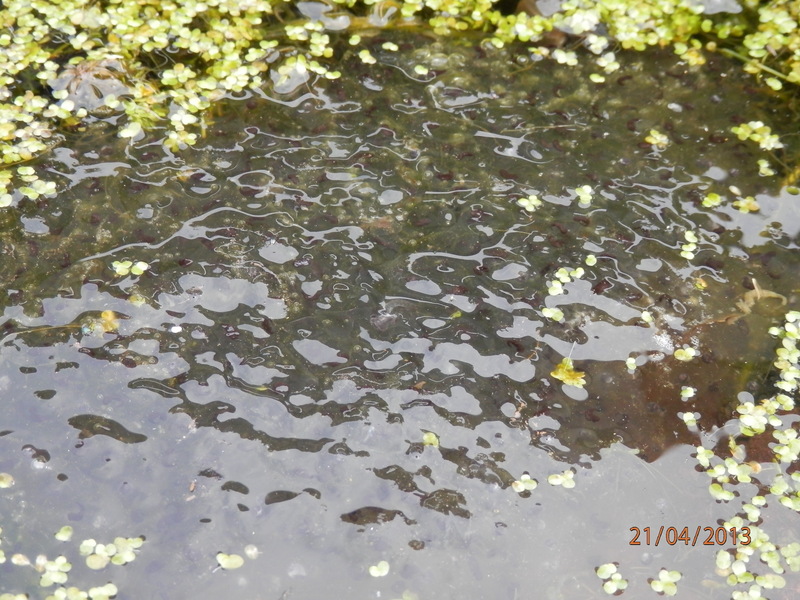 I try to stop the temperature falling below 10c, but unfortunately it has been dropping to approximately 8c on the cold nights we have been having. 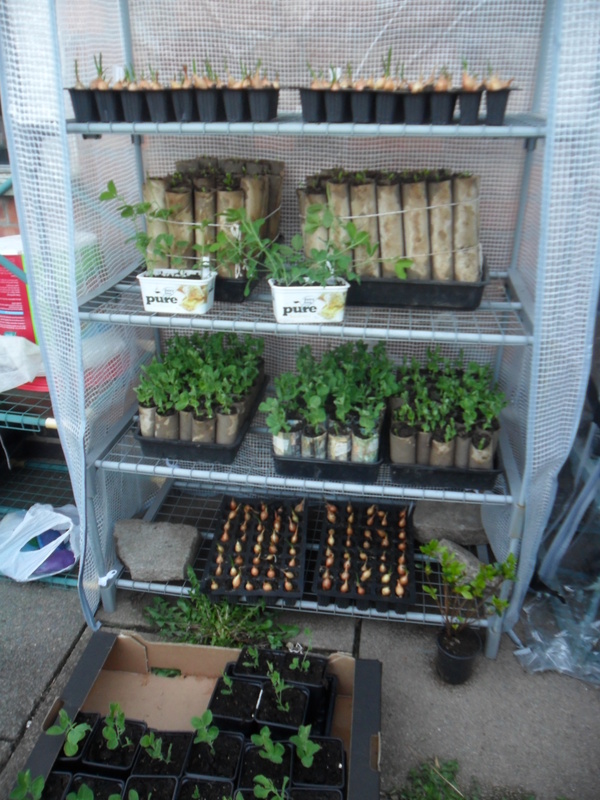 The peas have a bit of protection in my coldframe. 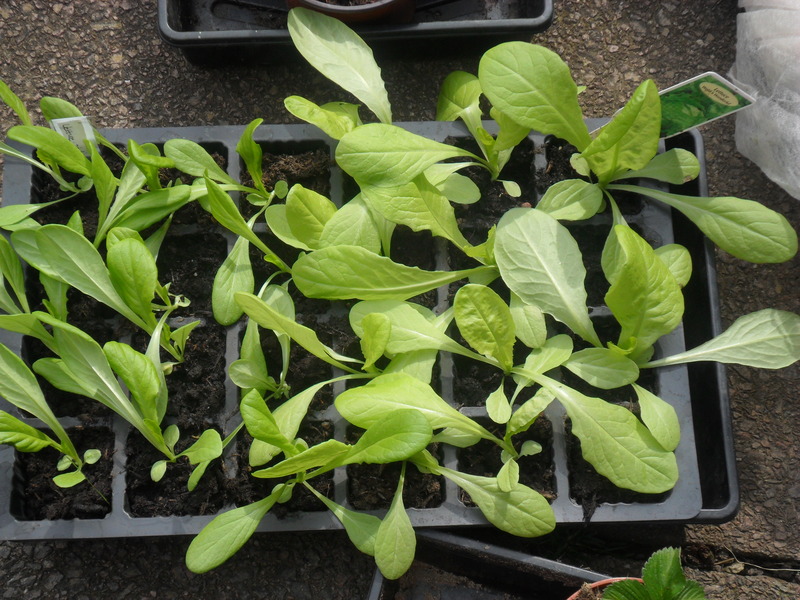 I have always had such a problem with my parsnips ‘forking’ when I sow them direct, or not germinating. 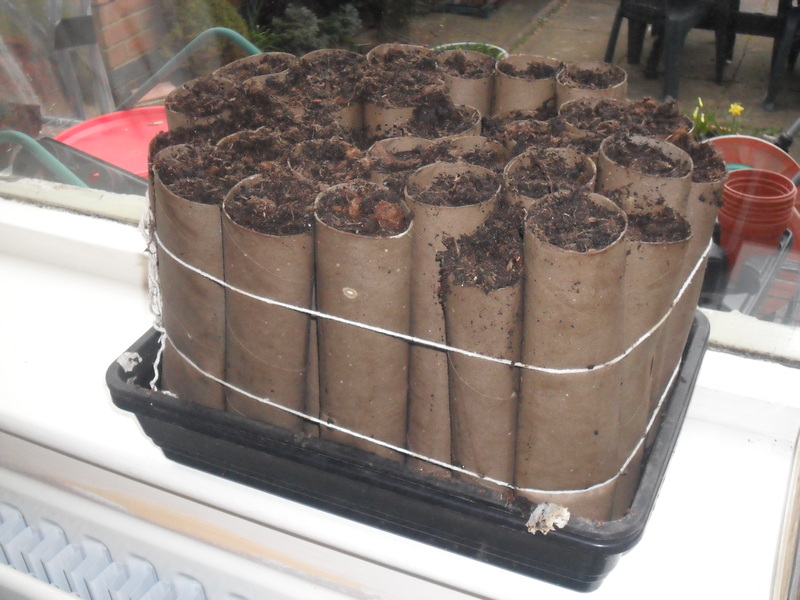 I have dug trenches and filled with compost, I have filled holes with compost and sown into them, but nothing seemed to work until I came up with the idea of sowing the seeds in kitchen roll tubes. 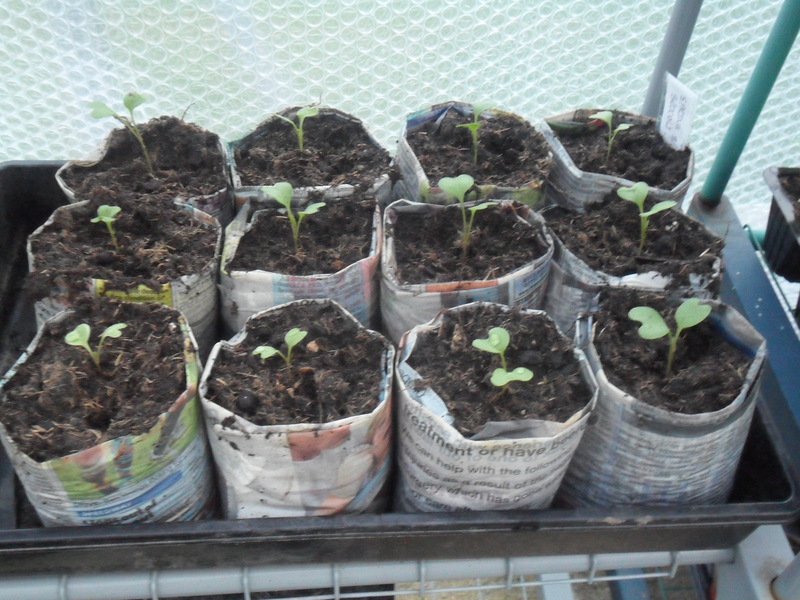 I fill the tube with compost and sow three seeds in each and keep the tubes on my windowsill. 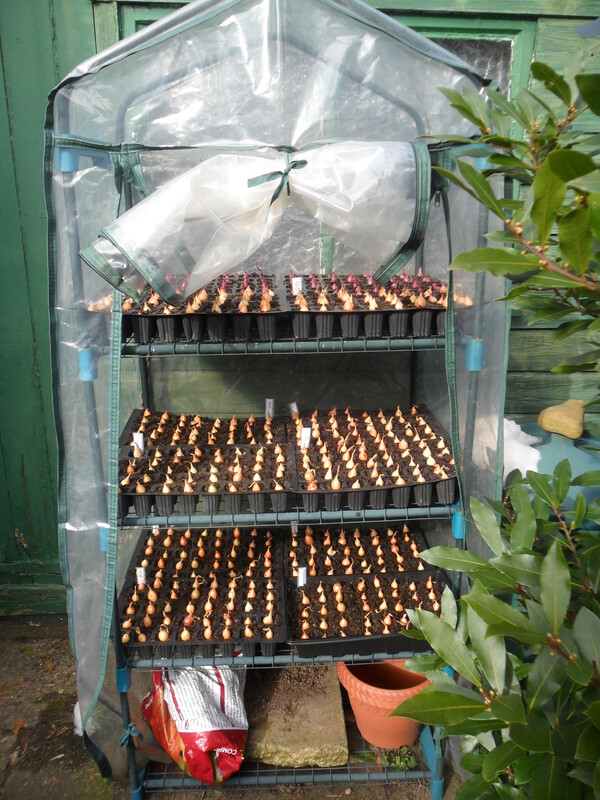 As soon as the seeds germinate, I move them outside into my coldframe and then a few days later I plant the whole tube into the ground. This way I get straight parsnips nearly every time. I have been asked in the past if this works with toilet rolls, but it doesn’t. 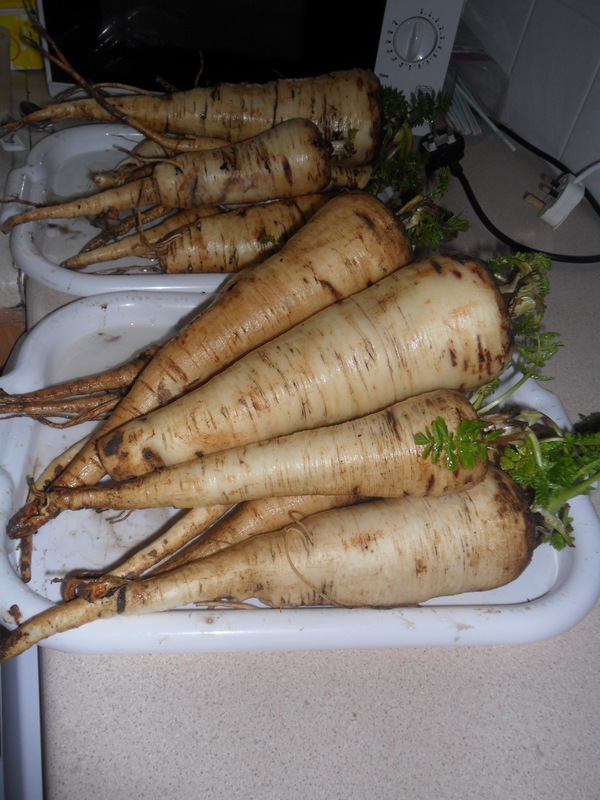 The reason for this, is the tap root on a parsnip is very long and grows down a long way before the seedling shows above the compost. Therefore the tap root hits the bottom of the toilet roll tube, which causes it to ‘fork’. However, as the kitchen roll is longer, the tap root has a longer distance to grow before it hits the bottom. 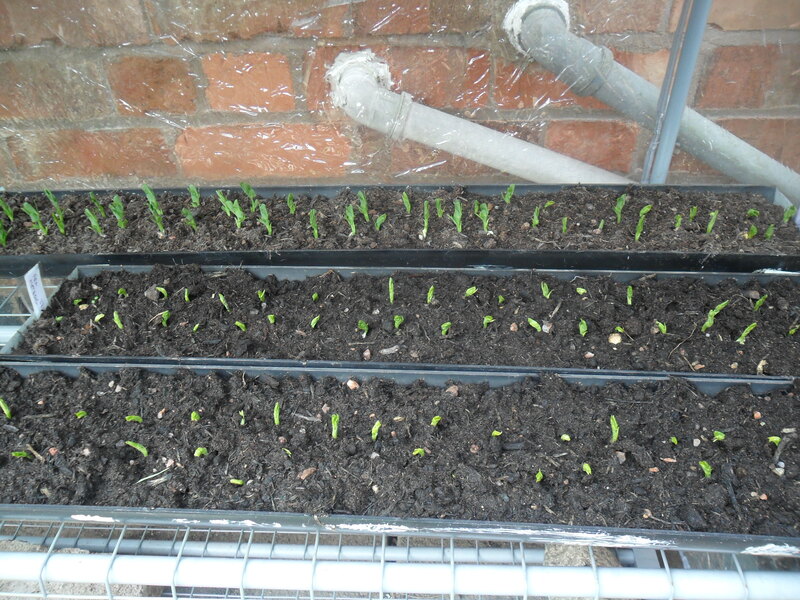 Finally, over Easter, I decided to plant my onion sets into seed trays to start them off, as the weather showed no sign of changing. 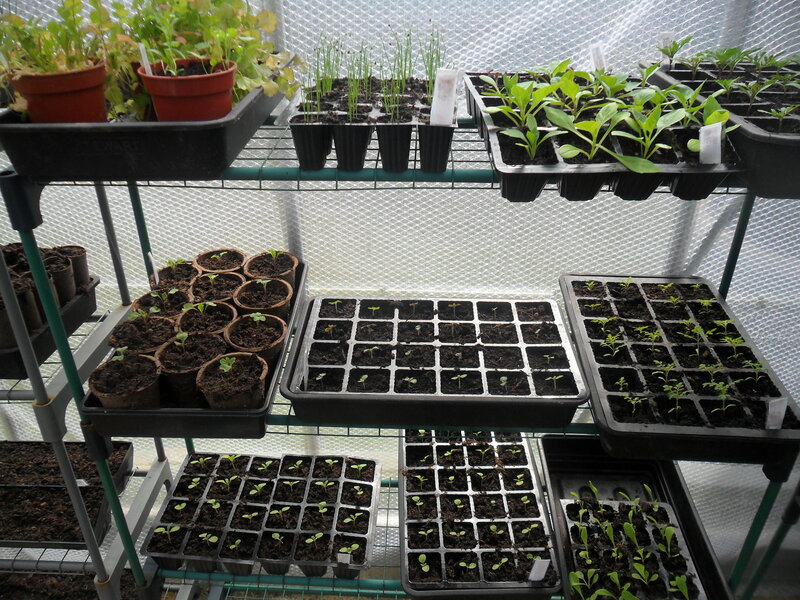 This will give me a little bit of breathing space before I need to plant them in the allotment. 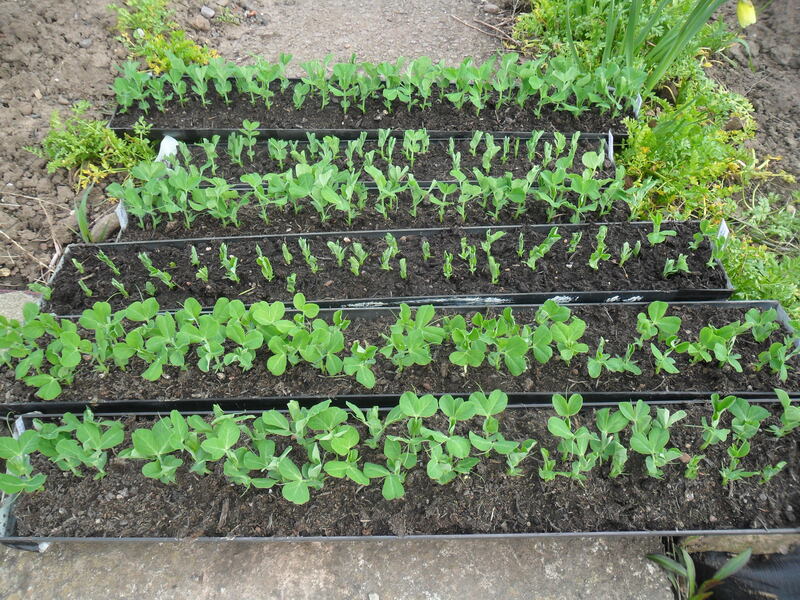 At least they will have developed some roots and this will help to stop the birds from pulling them up. 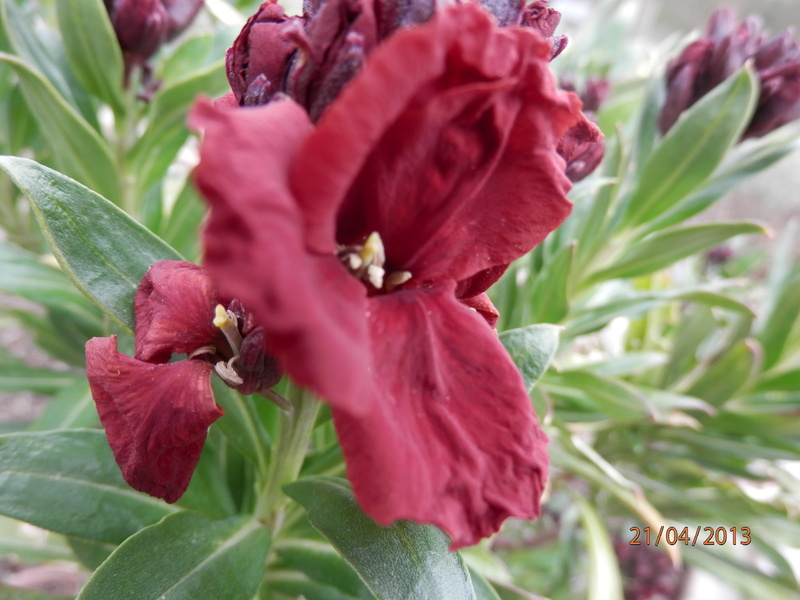 So all in all, it has been a busy, but enjoyable Easter. I will be back again on Friday, at approximately 4pm.